The shift from saving for retirement (accumulation) to spending in retirement (distribution) requires judicious preparation and a fundamental change in mindset. During the accumulation phase, individuals are often focused on building a retirement nest egg. It’s not always easy. The obvious goal is to maximize both saving and investment returns, and the measure of success is the value of your savings account and portfolio. The distribution phase can be complex. When your assets are in the stock market, you must monitor your withdrawal rate, balance your investments and consider tax issues. The measure of success here will be a satisfying lifestyle, where your money lasts at least as long as you do. One way to describe “The Retirement Shift” is by using the analogy of a sports car versus a minivan. The two-door, shiny, red, sports car was fun in your youth. It was fast and it made you feel good to drive it. But everything about it was expensive — from the maintenance and insurance to the gas you burned when showing off for friends. Once you grew up and settled down, you decided to go with something a little more practical — the beloved minivan. The minivan can’t go 0 to 60 in 3.9 seconds, but it will get a group of kids to soccer practice and take the family to visit the grandparents in the next state, safely and without breaking the bank. Trading in the sports car doesn’t make the sports car WRONG — you simply outgrew it. You got to a point in your life where the sports car benefits were simply no longer the best thing for you. Something less risky, more reliable and economical was the primary goal. Similarly, the stock market can be risky and expensive. Approaching retirement, you will want to lower your risk and find a more reliable and economic way to use your assets in retirement. This is one reason fixed annuities may be a good choice for retirees. 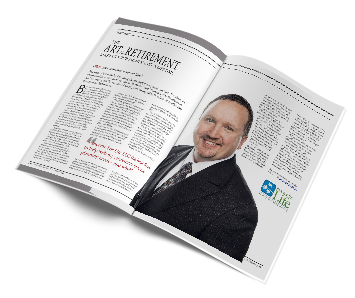 Fixed annuities could be called the “minivan” of the retirement world. Fixed annuities are a dependable financial product option for retirees because of the contractual guarantees* and the ability to provide lifetime income. ** They may not be fancy. They may not be exciting, but they reliably protect and distribute your assets in retirement. Fixed annuities are the ONLY retirement products that can offer a guaranteed* lifetime** income stream in your retirement years, and the fees are low. Your retirement assets are protected, grow by a small percentage per year, AND any interest credited is locked in and protected as well. The fixed index annuity, a type of fixed annuity, has a potential for more growth when the linked index rises in value. Since they do not participate in the market, they are not at the risk of market decline. Even when the index stays flat, your assets are protected and your earnings locked in. annuities can look pretty good, can’t they?